Have you ever imagined one could dashing through the snow and celebrate Christmas under the enchanting lights and decoration in Malaysia? 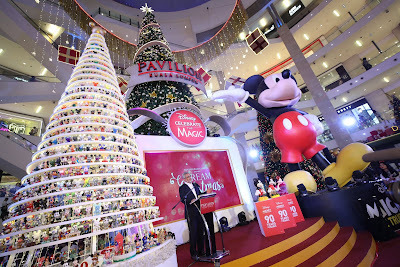 In fact, tthe magic of Christmas has arrived at Pavilion REIT malls this year! 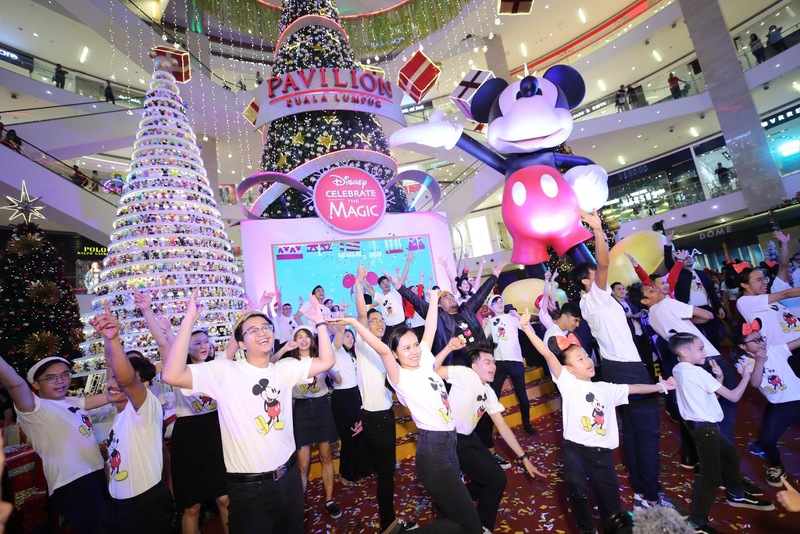 For the first time ever and in collaboration with The Walt Disney Company Malaysia, the malls are proud to present ‘Disney Celebrate The Magic’ with ‘Dream Christmas’ in Pavilion KL, ‘Merry Mickey Christmas’ in Intermark Mall and ‘A Tsumtastic Christmas’ in Da Men Mall. 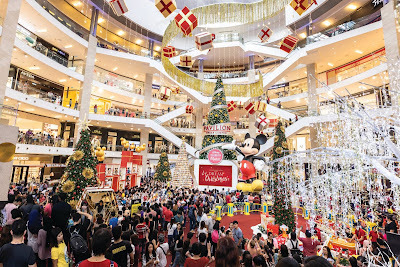 Get ready for the best seasonal festivities and first-in-Malaysia experiences for the magical year-end holiday. 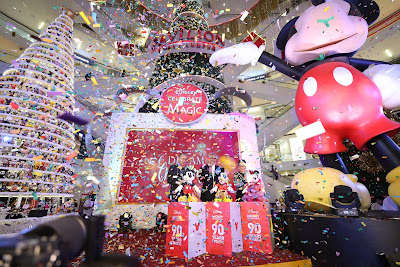 Pavilion Kuala Lumpur, Malaysia’s premier shopping destination, has launched ‘Disney Celebrate The Magic: Dream Christmas’ – a joyous celebration showcasing favourite Disney characters not long ago. Delivering its promise of being a destination of dreams this Visit Pavilion 2018, expect to be wowed by the must-see décor at the mall from now until 1st January 2019. At Centre Court, Mickey fans will be in awe of an impressive 20ft Mickey sculpture that welcomes visitors. Don’t miss the 1,000 Mickey Figurine Christmas Tree, a tree unlike any other and a first in Asia – featuring 6-inch figurines created by Malaysians from all walks of life, including Disney and Pavilion KL partners, staff, mall tenants, students and celebrities. 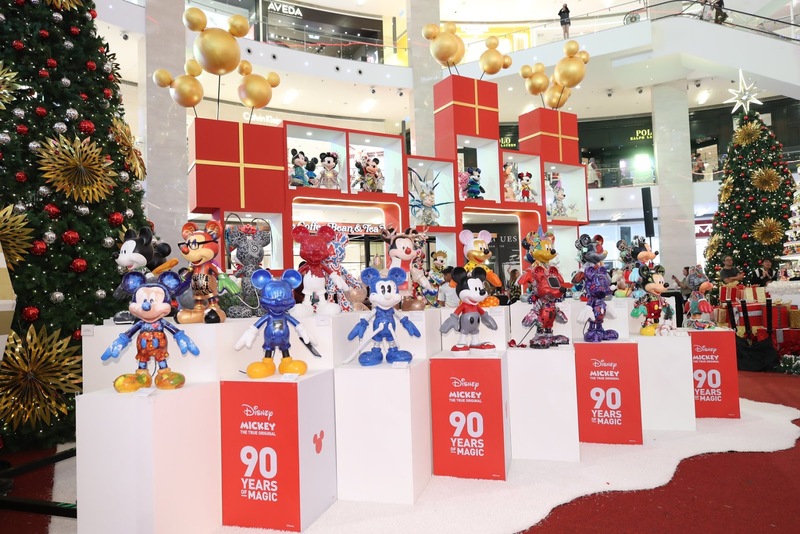 Be sure to check out the 100 Go Local Curated Mickey Figurine Showcase of Mickeys creatively decorated by luxury and lifestyle tenants of the mall. Outdoors, the Disney fun doesn’t end! Immerse in a wintry wonderland in the Disney Frozen Show Globe for beautiful pictures with the characters. 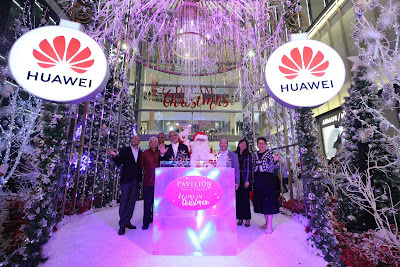 The Pavilion Dream Express, a fun train ride will raise funds for charity, and back by popular demand, Pavilion KL makes it snow in the heart of Bukit Bintang once again! Don’t miss the Huawei ‘Snowy Christmas’ experience every night at 8pm until 25 December 2018 at the Main Entrance. Launching the event was Guest of Honour YB Tuan Haji Khalid Bin Abd. 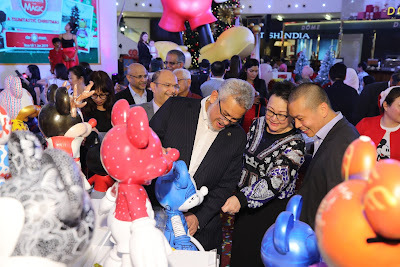 Samad, Minister of Federal Territories accompanied by Dato’ Joyce Yap, CEO (Retail) of Pavilion Kuala Lumpur and Tan Wee, Head of Retail & Licensing, The Walt Disney Company Malaysia & Singapore. Guests comprising the media, partners, tenants and friends of Pavilion KL were treated to a fantastic evening of sound, light and dance. The staff of Pavilion KL thrilled guests with their Christmas dance performance, showering all around with Christmas wishes and blessings. “We are concluding Visit Pavilion 2018 and our 10th Anniversary celebrations with a ‘wow’ factor that has become synonymous with Pavilion KL celebrations. We are proud to partner with one of the most beloved international brands - Disney. 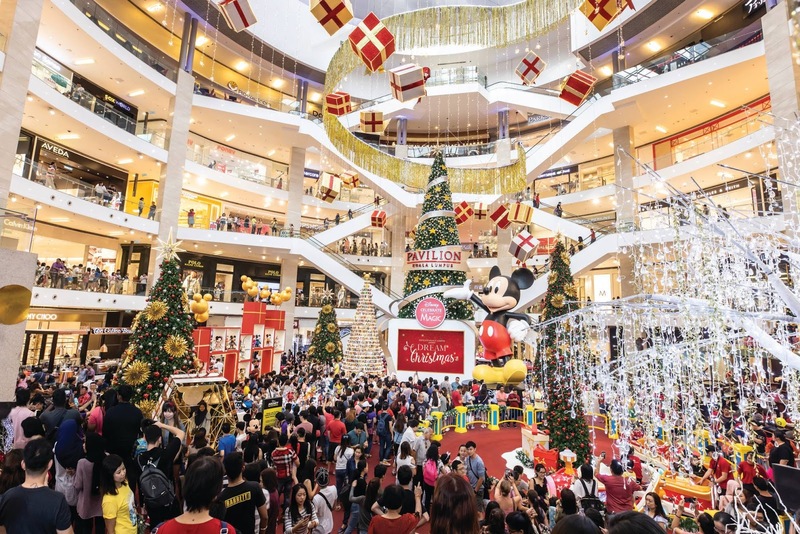 It is the first time that Pavilion REIT malls - Pavilion KL, Da Men Mall and Intermark Mall – has entered a collaboration with a brand to roll out seamless campaigns across all malls. Disney is the perfect name to celebrate the year-end season with family, friends and loved ones and we are delighted to present this to our visitors”, said Dato’ Joyce Yap in her speech. Redeem a limited edition Disney’s Mickey Mouse Plush or Disney’s Mickey Mouse Pouch with a spend of RM1,500 in a maximum of two (2) combined receipts at specialty stores with Maybank Cards from 28 November 2018. 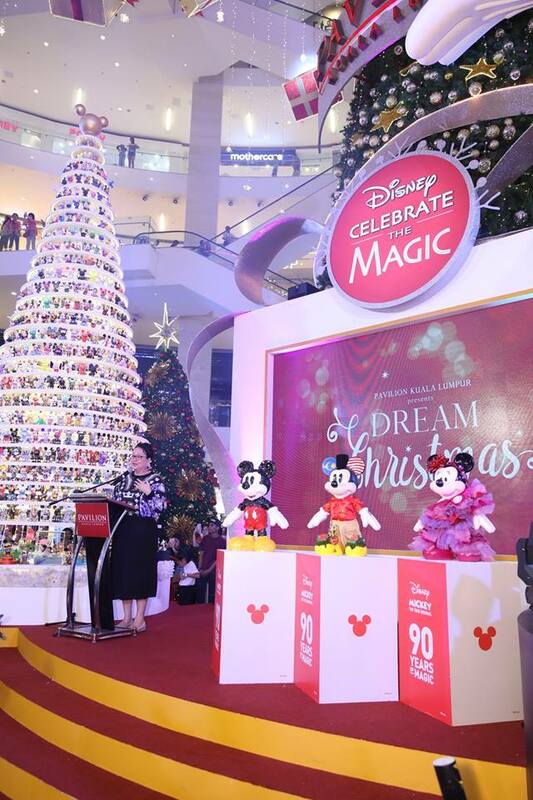 Intermark Mall brings Disney magic to shoppers with the Disney Celebrate The Magic: Merry Mickey Christmas until 2 January 2019. Celebrating 90 years of the iconic Mickey Mouse, Intermark Mall is transformed into a dazzling display featuring Mickey Mouse and Minnie Mouse in their best Christmas outfits over the glittering years, providing shoppers the opportunity to create their favourite Disney magical moments this Christmas. Welcoming visitors to the mall, a special Mickey arch at the Main Entrance sets the mood, the perfect spot to take a selfie with Mickey’s signature ears. Redeem a limited edition Mickey plush toy when you spend RM500 or more in a single receipt. Or take a photo with the Christmas décor and hashtag #IMXmas2019 where the top 3 most liked posts will win luxury Bric’s travel luggage. Also enjoy festive performances by adorable kids from Primrose Hill Active Learning. Shop for a wide range of imported delectable treats for gifting with Jaya Grocer. Disney Tsum Tsum is ready to celebrate Christmas with you! This festive season, Da Men Mall brings some Disney magic to shoppers with the Disney Celebrate The Magic: A Very Tsumtastic Christmas from now till 1 January 2019. 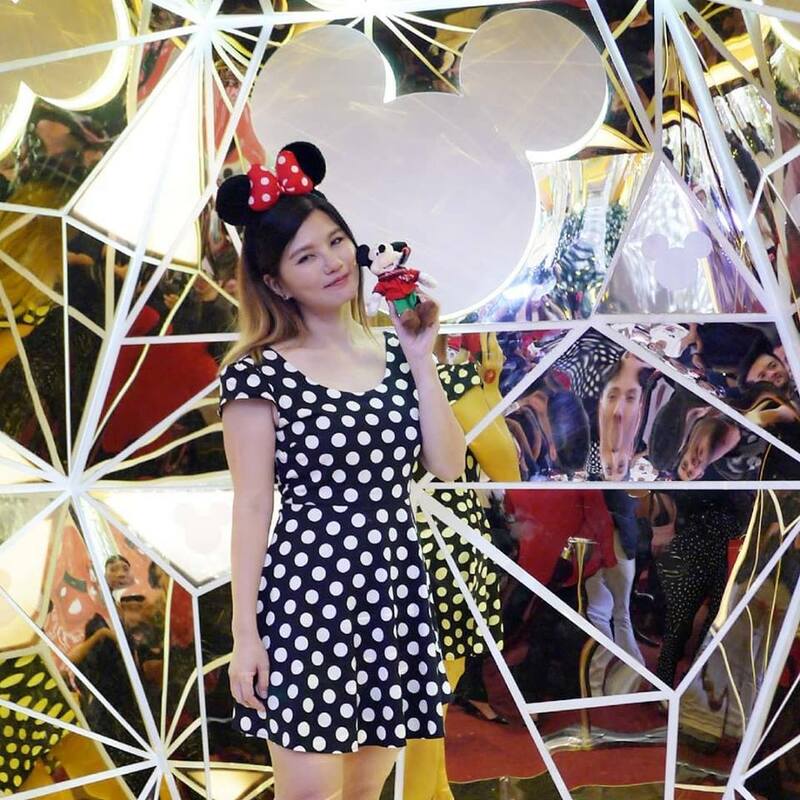 The Atrium of Da Men Mall transformed into a magical wonderland with Tsum Tsum décor that is bound to excite adults and kid alike. Embracing the yuletide spirit, a Christmas Party for Da Men Junior members happens on 15 December, the time to dress up in fancy dress and take part in kids fashion show, games, activities and win exciting prizes. Another must-visit is the Christmas Trim Shoppe to scout for the perfect Christmas tree to bring home the holiday cheer.